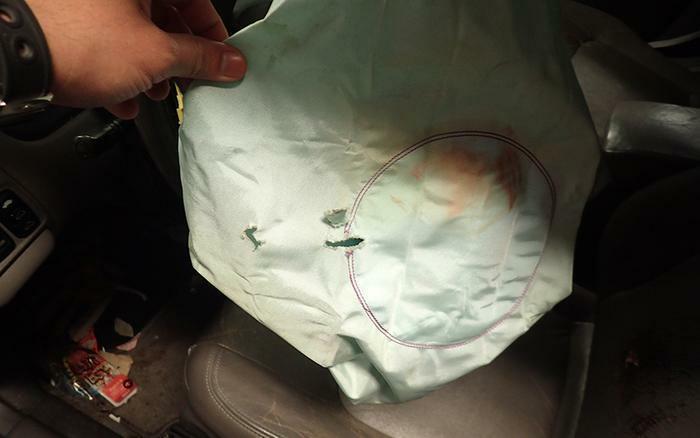 Federal safety regulators are trying to speed up repairs for the millions of cars recalled because of defective Takata airbag inflators that can rupture and spew deadly shrapnel when they're deployed. The National Highway Traffic Safety Administration (NHTSA) today issued what's called the "Amended Coordinated Remedy Order." It sets deadlines for when automakers must have replacement parts available for customers. The airbags have been blamed for 11 deaths and about 180 injuries in the United States. Of course, the problem is that many thousands of consumers have done just that, only to be frustrated when their dealer was unable to make the repairs because of lack of parts. NHTSA has also been frustrated by the delays and has tried to speed things up previously but says that, this time, it aims to get results. “The amended order will speed up the availability of replacement air bags, and continues to prioritize the highest risk vehicles to protect the traveling public,” said U.S. Transportation Secretary Anthony Foxx. The latest order was issued to Takata and the 19 affected automakers. It requires replacement parts to be obtained on an accelerated basis and made available first to the riskiest vehicles. The order sets new requirements for automakers to certify to NHTSA when they have obtained a sufficient supply of replacement parts to begin repairs. It builds on the "Coordinated Remedy Program" initiated in November 2015, incorporating the additional tens of millions of inflators recalled or scheduled for future recall since that date, most of which were included in the May 2016 recall expansion, NHTSA said. At last count, there were about 46 million recalled Takata airbag inflators in 29 million vehicles in the U.S. Another NHTSA order issued in May 2016 requires automakers to recall an additional batch of inflators over the next three years, ultimately recalling nearly 70 million inflators in 42 million vehicles. NHTSA has committed to seeking a 100 percent recall completion rate, but as of Dec. 2, automakers reported they have so far repaired approximately 12.5 million inflators, roughly a quarter of the total number currently on the recall list. "Ultimately all frontal Takata inflators using non-desiccated phase-stabilized ammonium nitrate (PSAN) will be recalled," NHTSA said. The full list of vehicles that are currently affected or will be affected by future Takata recalls is available here. Note that even if your vehicle is on the list of cars that will eventually be recalled, it may not yet have been recalled. To check the current status, jot down your VIN number, then use NHTSA's VIN look-up. Manufacturers are obligated to notify you by mail when your car is recalled. You should then contact your dealer to arrange for repairs. Note that the dealer cannot complete the recall until the parts are in hand. Don't ask your dealer to disable your airbag. It's illegal to do so and most experts say the protection offered by the airbag outweighs the slight risk of the inflator rupturing in a crash.